(70% Ar) and H2/Air mixture into two scenarios: vibrational equilibrium and vibrational-chemical coupling. Park’s two temperature model and coupled vibration-chemistry-vibration model are applied to account for the coupling between the vibrational relaxations and chemical reactions. In 1D simulations with vibrational-chemical coupling, the vibrationally cold molecules inhibit the chemical reactions, resulting in an increase of half-reaction thickness. In 2D simulations, the ratios of average cell size with coupling effect to that without are around 1.3 for H2/O2 (70% Ar) detonation, and around 3 for H2/Air detonation. (2) Secondly, a modified steady one-dimensional ZND model is derived based on the conservation laws, the model expressions are in the non-dimensional form to facilitate the parametric analysis. The activation energy of the single-step Arrhenius model, the ratio of the chemical reaction timescale to the vibrational timescale (τ*), and the characteristic vibrational temperature are examined. The parametric study is performed to systematically compare the calculated half reaction lengths in both conventional ZND profile and the modified ZND profile. Based on the selected thermodynamic parameters, the modified theoretical ZND model suggests a criterion (τ* ≦ 7) when considering the vibrational nonequilibrium effect. This work was supported by the LHD open fund project of 2016-2017. Professor Chih-Yung Wen is now the Associate Head and Professor of the Department of Mechanical Engineering, The Hong Kong Polytechnic University. Professor Wen received his Bachelor of Science degree from the Department of Mechanical Engineering at the National Taiwan University in 1986 and Master of Science and PhD from the Department of Aeronautics at the California Institute of Technology (Caltech), U.S.A. in 1989 and 1994, respectively. Then he continued his teaching and research works at the Department of Mechanical Engineering at the Da-Yeh University from 1997 to 2006. In 2006, Professor Wen joined the Department of Aeronautics and Astronautics of the National Cheng Kung University (NCKU), Taiwan. In 2012, he joined the Department of Mechanical Engineering, The Hong Kong Polytechnic University (PolyU). 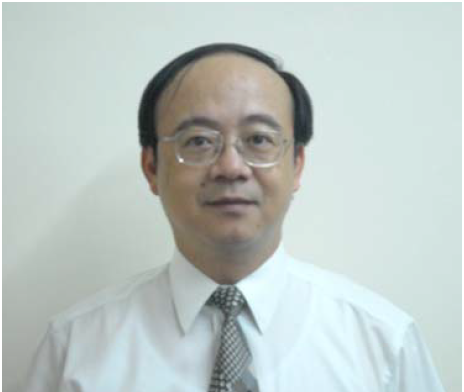 Professor Wen has authored and co-authored many scientific papers, conference papers and book chapters. His current research interests are: (1)Aerodynamic applications of plasma actuators in delta-winged UAVs and MAVs; (2) Hypersonic aerodynamics and scramjetengine design; (3) Fuel cell applications in the electric power system of a micro spacecraft; and (4) Flow instabilities of magnetic fluids and their applications in micro-mixers. Professor Wen, currently an AIAA Associate Fellow, serves as a member of various key professional boards and bodies related to the Aerospace Engineering.